Email marketing is one of the most powerful tools you can add to your WooCommerce store’s overall marketing strategy. It can help you nurture potential customers who aren’t quite ready to buy. It can even help you encourage current customers to buy again. Remember the cheapest source of new revenue will come from the customers you already have! 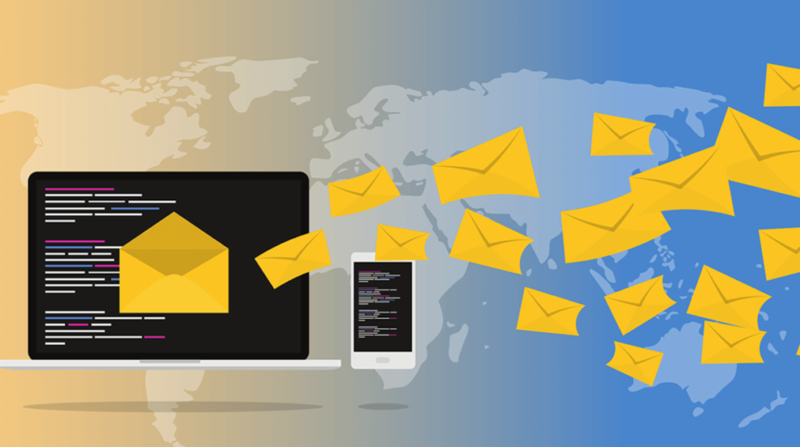 A WooCommerce Email Marketing plugins is essentially a tool you can use to connect with customers in a way that’s much more personal than social media. 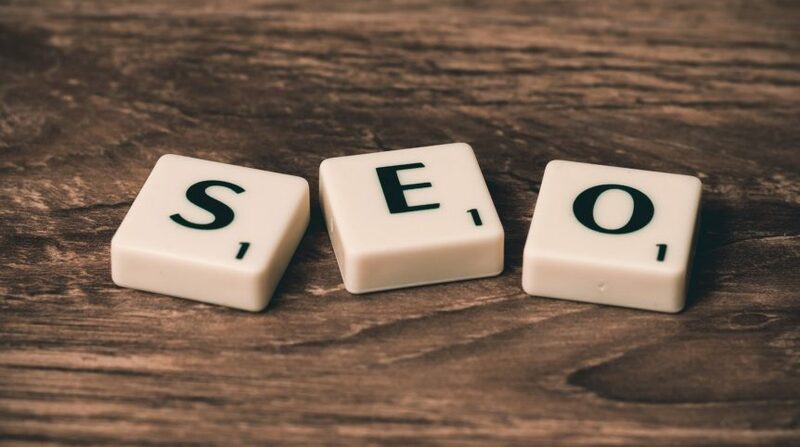 Most email marketing services are designed to help bloggers and general internet marketers grow their email lists and conversions through content marketing. However, some of these services offer features tailored to the needs of ecommerce marketers and WooCommerce store owners. In this post, we’re going to cover the best email marketing WooCommerce services available at the moment. Some email marketing services offer basic integrations with WooCommerce where they only allow you to segment your customers and send marketing emails. 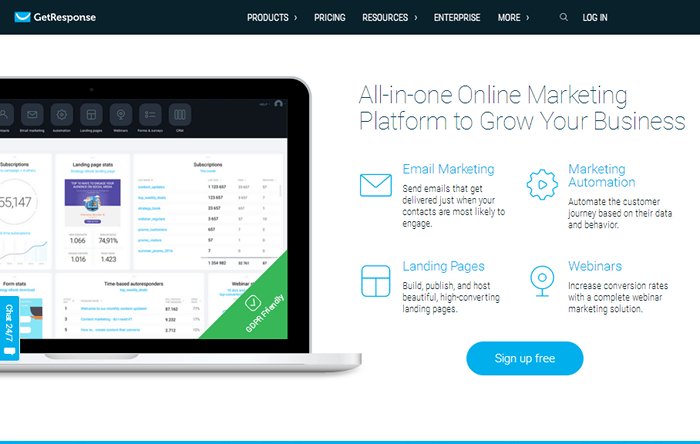 Others offer even less by only allowing you to use its native email marketing features. Marketing Automation – Automation tools allow you to configure a few settings then sit back and allow the service to send targeted emails automatically. Segmentation – When it comes to ecommerce, this feature will allow you organize your customers into different groups. These groups may be based on the products customers purchased, the categories they purchased from and more. Transactional Emails – Transactional emails are emails triggered by actions your customers take. They’re powered by automation. A few examples are order confirmations and abandoned cart emails. Abandoned Cart Emails – You lose out when a customer places items in their cart but doesn’t purchase or remove them. Abandoned cart emails remind customers of products they intended to buy. Product Recommendations – This tool helps you acquire repeat customers through the use of product recommendations tailored to your customer’s order history. Order Notifications – Order notifications allow you to send a variety of emails to customers in relation to their orders. These include order confirmations, shipping confirmations, invoices and more. Reports – Every email marketing service has its own take on reports, but they should all allow you to view open rates, click-through rates, unsubscribes and more. It’d be even better if they allow you to track marketing campaigns and set up split testing. 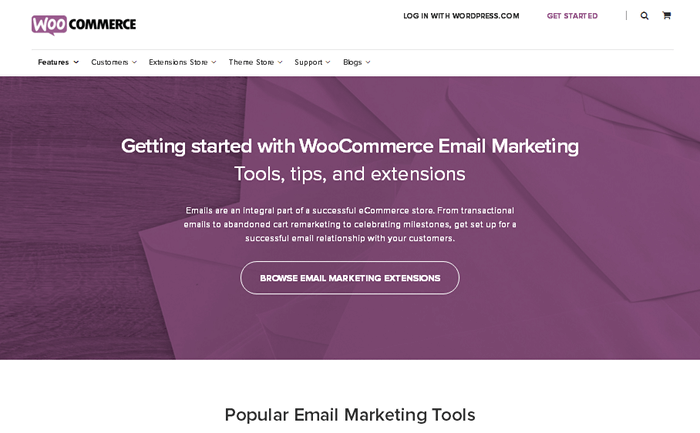 We’ve rounded up six email marketing services that offer these features for WooCommerce. Let’s get into it. 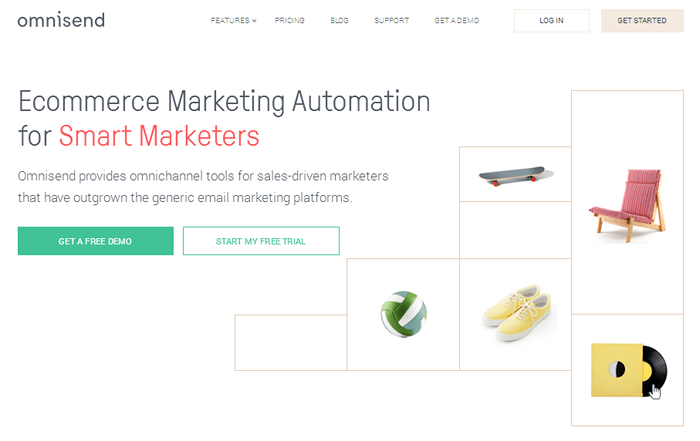 Omnisend is an email marketing service entirely optimized for ecommerce. Its best feature is marketing automation. With this feature, they’ll track customer activity and send emails automatically when customers abandon carts, products and even items they were browsing. They’ll also send transactional emails, follow-up emails, customer reactivation emails and birthday emails. You’ll also enjoy segmentation, split testing and reports alongside a host of unique features. These include content editor elements that allow you to add scratch cards and discount codes to emails. They even have unique opt-in forms and full-on landing pages as well as a powerful tool that helps you optimize and enhance email campaigns. You’ll integrate your store with Omnisend’s email marketing plugin for WooCommerce. A free plan is available, and pricing for premium plans is based on the number of subscribers you have. They start at $10/month or $96/year. A 14-day free trial is available as well. You can use MailChimp’s automation and segmentation tools to create your own groups to send targeted emails to. It’s also a wonderful email marketing WooCommerce service, allowing you to track your customer’s purchase history so you can send product recommendations based on things they’ve already purchased. It’ll even send abandoned cart emails for you. A few additional emails you can send include product retargeting emails, follow-ups and customer re-engagements. You can even reward your best and most loyal customers with special offers and thank first-time buyers with Thank You emails. Along with email-related stats, MailChimp’s reports include revenue when you integrate it with WooCommerce. 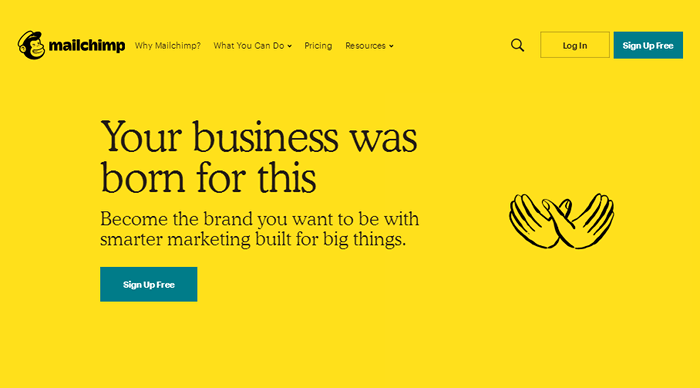 MailChimp offers free email marketing for WooCommerce. Its services are free for up to 2,000 subscribers and up to 12,000 emails/month. Premium plans start at $10/month. ActiveCampaign is great at marketing automation. It allows you to send abandoned cart emails automatically. You can also use this feature to set up “win-back campaigns” for customers who haven’t made a purchase in a while. This service also offers product recommendations for customers who have recently made a purchase. These recommendations are based on products the customer has purchased in the past. You’ll also be able to reward loyal customers with discounts and use automated series to provide tips. One of the most unique features this service offers is tracking for order fulfillments. You’ll be able to move shipments between stages, create tasks and more. Of course, ActiveCampaign also offers powerful segmentation and reporting features. ActiveCampaign’s email marketing WooCommerce integration is free. Prices are based on the number of subscribers you have. Plans with ecommerce features start at $70/month or $588/year. A 14-day free trial is available as well. 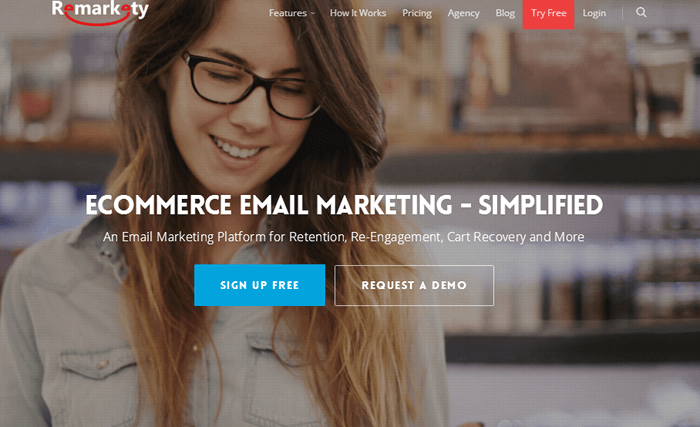 Remarkety is another email marketing service optimized exclusively for ecommerce, making it the perfect email marketing WooCommerce service. 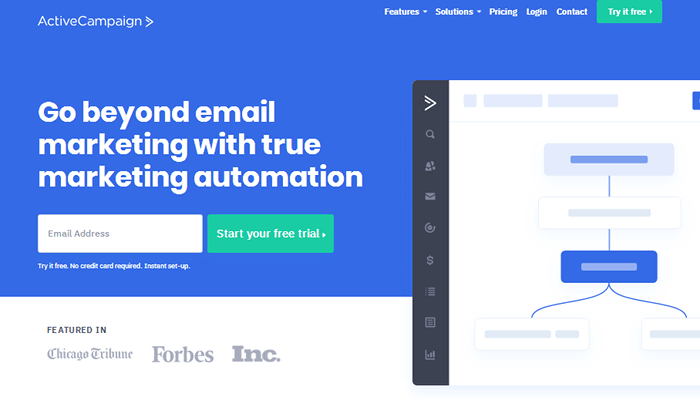 Its marketing automation tool sends follow-up emails, abandoned cart emails, transactional emails, welcome emails and customer reactivation emails automatically. It also offers several segmentation rules and even things like product recommendations and personalized coupons. One of Remarkety’s more unique features is data-driven feedback. With this feature, you’ll receive weekly emails filled with tailored suggestions on how to improve your marketing campaigns. Plans start at $25/month and are based on the number of subscribers you have. Each individual plan also comes in tiers that increase as your subscriber count grows by 500, 1,000 and 5,000, depending on your plan. A 14-day free trial is also available. Klaviyo is an ecommerce-centric email marketing service designed to work as an email marketing WooCommerce service. Its wonderful list of features begins with automation. This feature allows you to send automated emails based on behavioral data, customer data and integrated data. Of course, welcome series, abandoned cart emails and win-back emails are available as well. Klaviyo also offers segmentation, product recommendations, follow-up emails and reports. They even offer a few unique features. This includes ROI-based data, which allows you to see how much revenue your campaigns generate. It also includes customer profiles, which allow you to view everything your customer does on your website and in the emails you send. Klaviyo integrates with WooCommerce free of charge through a plugin. You can start with a free account that allows up to 250 subscribers and 500 email sends. Premium plans start at $25/month. GetResponse is a multipurpose email marketing service that supports ecommerce platforms and offers email marketing WooCommerce features. Their marketing automation and segmentation features allow you to send the right content to the right people using custom filters and dynamic filter elements. This allows you to send custom emails to customers who have spent a certain amount at your store, customers who haven’t shopped in a while and more. You can also use marketing automation to send follow-up emails after customers have completed a purchase. You can even send abandoned cart emails, upsell offers and product recommendations tailored to your customers’ needs. 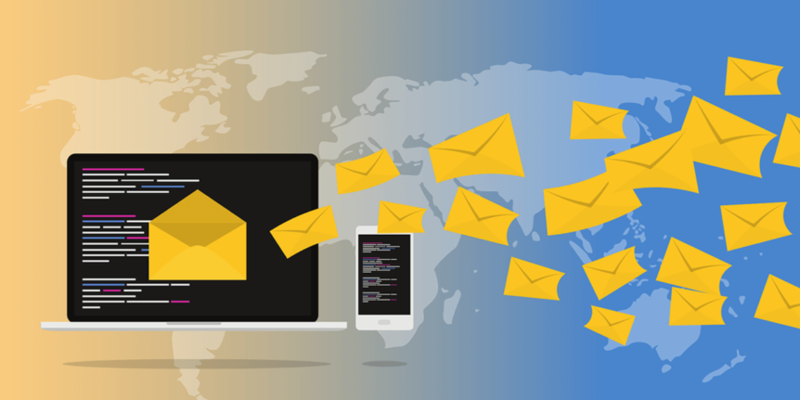 GetResponse offers basic email marketing-related reports by default, but you can import ecommerce data when you integrate WooCommerce with your account. GetResponse’s integration with WooCommerce is free. Plans start at $15/month or $147.60/year. A 1-month free trial is available. Deciding on an email marketing WooCommerce service can be difficult. Do a bit of research on WooCommerce email marketing to see which strategies you feel would best suit your store’s needs. Most of the services on this list have demos you can check out, so be sure to take a deep dive into each of them to ensure you like the way they implement each feature. You should also consider whether or not you plan on getting into content marketing. Some of these services focus solely on ecommerce, making them less suitable for blogs. Focus on price last, but ultimately choose the service that has the features you need and aligns best with your budget. 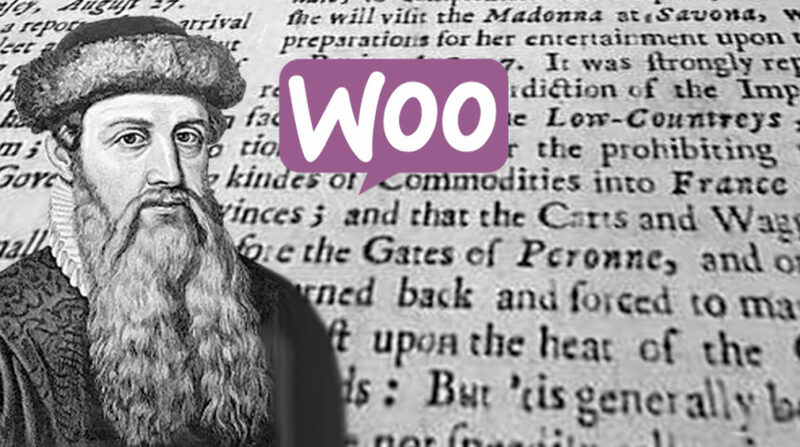 If you already have an email marketing service that doesn’t integrate with WooCommerce well (or at all), consider using Conversio. 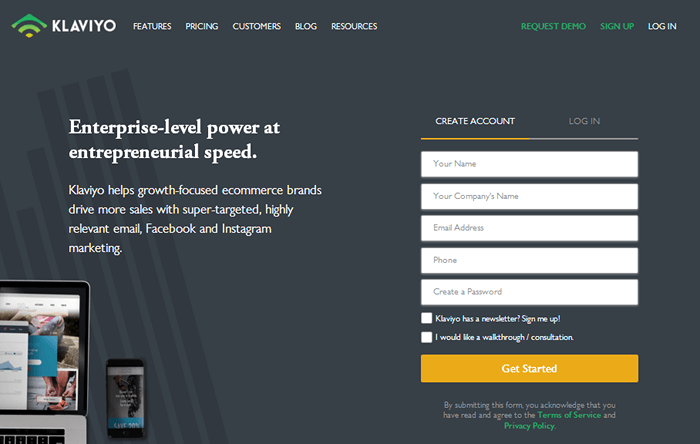 Conversio is an ecommerce marketing tool founded by Adii Pienaar, the same guy who co-founded WooCommerce. It offers many of the features we recommend looking for in an email marketing service. You can also see if Zapier has integrations you can use between WooCommerce and your email marketing service provider. As always, if you’re thinking of integrating a new tool with your store, be sure to give us a holler if you need help.